Is being an adult overrated? There are days that I wonder, why do kids always wish they were adults? Seriously, kids do not have to think about the never ending home repairs and expenses. There are no worries about buying new cars. They do not have to work out budgets for groceries, utilities, insurance, vacation, car expenses and the other items needed for life in the so called real world. The list just gets more complex and "interesting" when you add in loans, mortgages and the cost of raising a family. Of course, not everything has to do with money. As an adult, the responsibilities are endless. You need to schedule time to do laundry, get car repairs, clean, organize and perhaps even try to relax. The last few months have made me wonder why being an adult was something I always longed for. As a child, I do not remember my parents worrying about so much. Is it the recession that is the culprit of all of my fears, or did the adults in my life simply hide everything? Of course, the reality of so many things happening at once made me think about being an adult and taking care of all of the "things" in life. Today hubby’s car decided it may be giving up. His car is a 1998 Corolla and has 104,000 on it. In the scheme of things, we have hardly done any major repairs on it. Clearly, the car does not owe us anything. The cost of a major repair, assuming it has anything to do with the transmission, is not worth it. We went to test drive a car and may make a final decision after getting some price quotes. What three things do you wish you did not have to worry about as an adult? If you would like to explain why feel free, if not that is fine. 3. making sure our children are provided for in all ways, including food on the table. 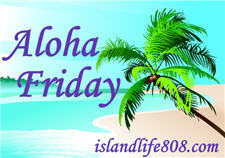 Come visit my first Aloha Friday HERE! 1.) Child-rearing and ALL that goes with it, just wish it was easy. 2.) Whether or not to invest in such a icky economy. 3.) Wondering whether or not I should go to grad school or not. I wish that I did not have to worry about money and finances. 3. Death.. I fear not being there for my kids. I was never afraid of death until I became a parent. Having enough time to spend with my kids, my mom wasn’t around much when I was growing up and I don’t want them to grow up that way. Having enough money to pay all the bills and still have enough to do other things. And I also worry about their relationship with their dad. They miss him so much and i really want them to have what I did not. He though is always ‘to busy’ or has other things supposedly more important than spending time with them. 1. All the Financial Responsiblities — growing up I never realized how much it would take to be a ‘grown up’. 2. Health — When I was younger it seemed like I could eat whatever and just run off the calories. I never really got sick and didn’t have a care in the world. Now I realize that I have to eat right, exercise, and be cautious of what I do and not do to my body. Its scary. 3. Raising my boys – While I love my children with all my heart, it terrifies me that I’m raising them in such uncertain times. I’m constantly praying that I raise them in such a way that I don’t have to worry about drugs, gangs, prison…etc. I want them to be happy and successful in whatever they do. 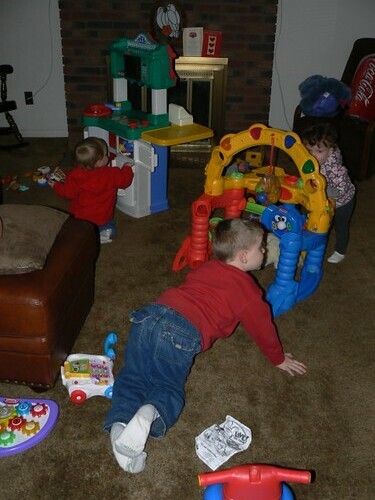 Its such a BIG responsiblity to be in charge of three little lives. The short answer to your title question is yes, yes it is! I hate worrying about house remodeling, insurance, and money in general. We’re a one-income, one-car family and it makes life VERY difficult. I am stuck for the third one… I don’t know!!! 3. being a responsible person and ALL that entails…. Finances, my health, and my parents’ health. money and everything related to it… lol.. Wish I didn’t have to worry about money, our kids future for them and how the economy will be and Hmmm. . . . what my next post will be on my Blog!! :)) Happy weekend to all! The bills, cooking, & cleaning! Money, My health and health of my kids, Insurance companies, and the little men working for them! 1. Education – I would like to provide a good education for my son. He is enrolled in a good private school in the country. I hope that my hubby and I can continue to enroll him in good schools until college. 2. Health – I pray that everyone in the family will always have best of health. It’s hard when someone in the family gets sick. Yes, being an adult is harder than I ever thought…when I was younger. I wish I didn’t have to worry about 1) money 2) health insurance (does that count as money though?!?) and 3) car issues.